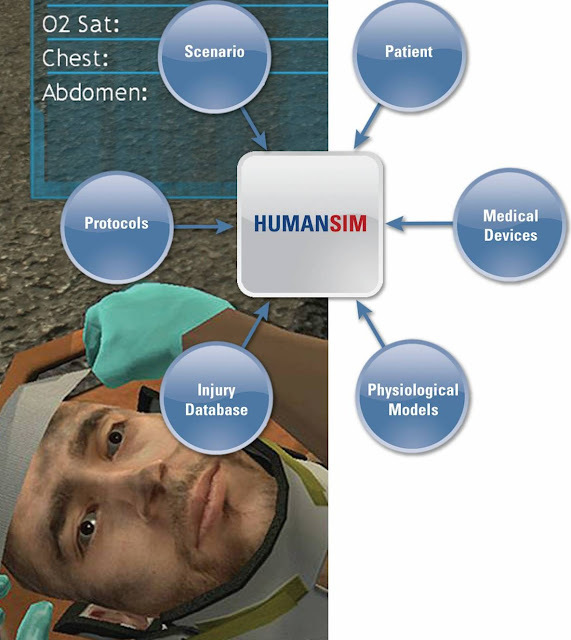 HumanSim is a platform for medical training and education that is under development at Cary, NC based Virtual Heroes. During this session, Virtual Heroes will provide a complete breakdown of their system and how it can be used to power games that are about human physiology and virtual patients. Attendees to this session will not only learn about HumanSim itself but the challenges of creating games that have simulative virtual patients. Furthermore, attendees to the session will have the opportunity to provide guidance and feedback to how Virtual Heroes might best make this technology available to other game developers and medical simulation specialists who wish to build their own applications utilizing the APIs and algorithms that power HumanSim. 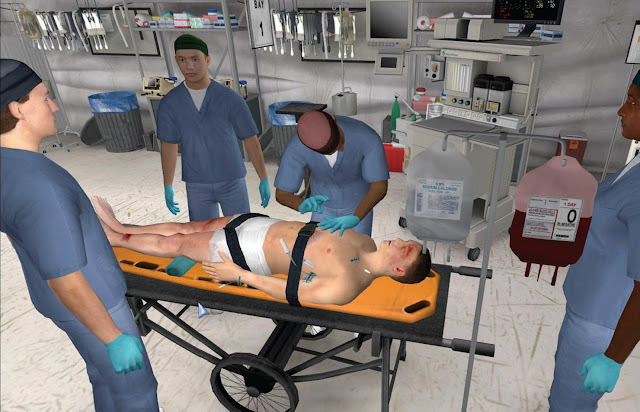 HumanSim™ is a software simulation PLATFORM that provides enhanced initial, refresher and sustained medical education and training. HumanSim™ enables health care professionals to sharpen their assessment and decision-making skills without risk to patients in realistic, challenging, immersive environments. Virtual Heroes has created HumanSim by taking a most advanced game technology and integrating it with a high-fidelity physiologic- pharmacologic model for an unprecedented immersive learning experience. HumanSim provides training-to-proficiency in rare, complicated or otherwise error-prone tasks. Target users include: Physicians, Nurses, Emergency medical personnel, Clinical students/residents, Emergency services organizations, and Healthcare education institutions. Virtual Heroes, a Durham-based game development company specializing in educational simulation programs, has been acquired by privately held Applied Research Associates (ARA) for an undisclosed amount, the companies announced mid April. Headquartered in Albuquerque, N.M., and with its Southeast division based in North Raleigh, ARA has more than 1,200 people worldwide and provides research and engineering services for commercial clients and federal agencies. ARA said in its announcement of the acquisition that it plans on further investing in Virtual Heroes' Advanced Learning Technology platform, in particular its HumanSim technology. "This investment will enable us to provide a broader array of solutions and services to our expanding customer base in the rapidly growing training and simulation market," said ARA CEO Neil Higgins in a statement. 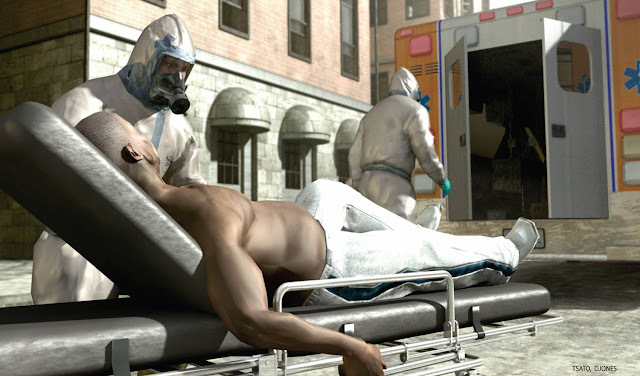 Virtual Heroes, founded in 2004 by CEO Jerry Heneghan, has worked with Nortel Networks Corp., Duke Medical Center and federal agencies to deliver sophisticated, often photo-realistic training simulations using its ALT platform, which in turn is based on the Unreal Engine by another Triangle gaming company, Cary-based Epic Games. The company had a net income of $5 million in 2008, according to Heneghan. Virtual Heroes will retain its name and stay in its offices in southern Durham. The company also will keep its 41 employees while moving ahead with plans to hire five more game designers, programmers and project managers. Allen York, Southeast division manager and vice president of ARA, said there is a natural fit between the core capabilities of the two companies, in particular when it comes to Virtual Heroes' experience in producing Serious Games. "We had tried to get into Serious Games in various times in the past five years and haven't really been successfully organically, within the constraints of other business development initiatives," he said. "Since Virtual Heroes is local, we developed relationships with these folks years ago and ultimately started talking about merging." ARA's Raleigh office employs about 130 people. The rest of ARA's Southeast division includes employees in Virginia and Santa Barbara, Calif. ARA has industrial certifications and a larger roster of clients that will benefit the rollout of Virtual Heroes products. As a result of the acquisition, York said ARA will contribute more financial resources to HumanSim and ultimately play a role in marketing and distributing the product.